Traveling? Watch Out for Bed Bugs! - Yes Pest Pros, Inc. Traveling? Watch Out for Bed Bugs! - Yes Pest Pros, Inc. Traveling? Watch Out for Bed Bugs! Doing a lot of travel means going to a lot of places. From hotels to modes of transportation, there are a lot of locations that you will be in before, during, and even after your trip. One of the things that people may forget about is the possibility of bed bugs. True, no one wants to think about dealing with these pests while on vacation or on a business trip, but they are something that you can come into contact with. Bed bugs are associated with dirty locations or unclean areas, but this is not always true. In fact, five-star hotels have had issues with bed bugs. This is simply due to the fact that bed bugs travel as much as humans. If they are in one place and they can hitch a ride, they aren’t above doing so. This means someone may accidentally bring them in where they stay and pester the next occupant of the room. Remember that hotels do regularly clean and change their sheets – but there are dozens of places for bed bugs to hide. Even in a five-star hotel they may not realize that they have a bed bug problem. 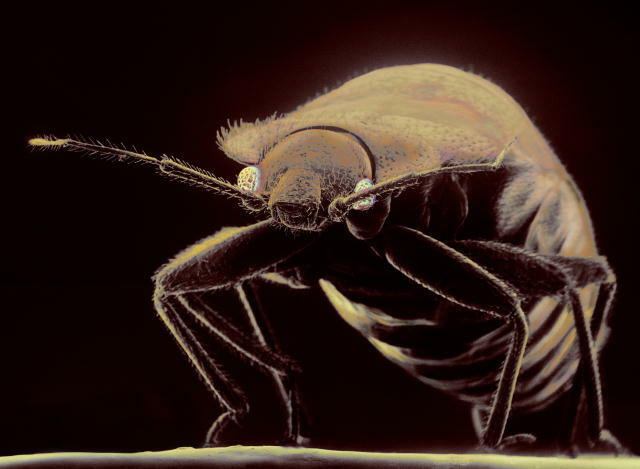 Sheets may get changed, but if the bed bugs are hiding out under the box spring, they can come out every single night, feed on whomever might be sleeping in the bed, and then head back to their hiding place before the next day arrives. This means that no one ever sees them or even the evidence of them and are none the wiser. However, bites are a fairly strong indication of a bed bug problem. If you suspect something is off with your hotel room, then you should speak with a manager. Be calm and don’t accuse the hotel of anything – they may not have had any issues until recently, or no one has ever complained before. A high quality hotel will immediately get a pest company to check the room and evaluate it for bed bugs. If you have, in fact, been around bed bugs while in the hotel, you can request to have your things cleaned to ensure that the bed bugs don’t ride home with you and lead to an infestation of your home. This includes not only clothing but also luggage you may have. If you don’t get the chance to clean everything there and make sure it is free of bed bugs, you should do so before entering your home. That way you can be sure that no bed bugs make it into your house and you don’t have to worry about an infestation.